Be on the Lookout for Jesus Learn More. Two sisters walk and talk on their way to our Gathering Space where we regularly host educational and spiritual events. 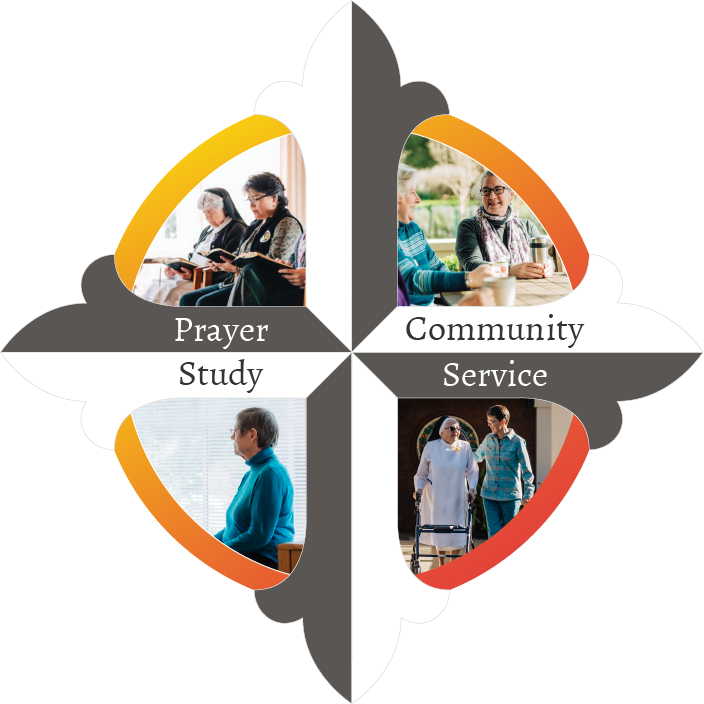 Our events calendar has the latest offerings; you are invited to join us in study and prayer. Learn More. Santa Sabina is a retreat and conference center, extending our commitment to the contemplative life. Learn More. Visit us for a tour of our history room. Learn More. To be a Dominican Sister of San Rafael is to be a member of a vital community of Catholic women who faithfully preach the Gospel with their lives, through prayer, study, and ministry. God's invitation to Dominican life and mission follows diverse paths. On the occasion of the 165th Anniversary of the congregation, eight sisters share their unique stories of call and response as a Dominican Sister of San Rafael. Gather@Grand – What Does Faith Teach Us about Care of the Earth? Moderator, Susan Stephson, Executive Director of Interfaith Power and Light, will help us learn from four faith traditions, Presbyterian Christian, Catholic, Islamic, and Jewish about ‘right-relationship’ with our earth.